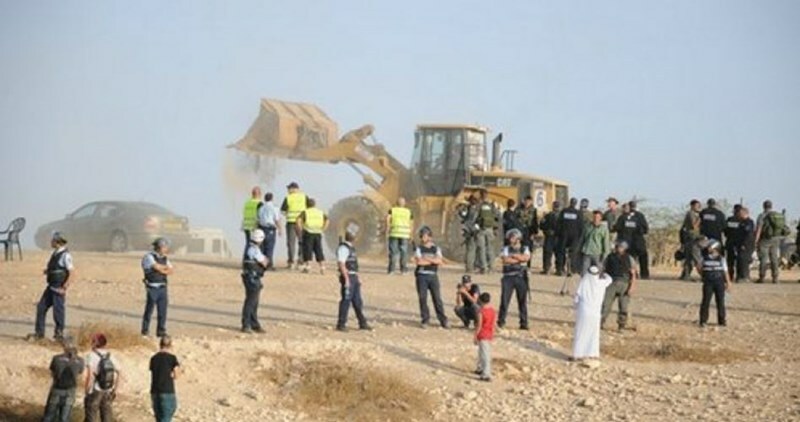 Israeli bulldozers on Tuesday morning demolished the Palestinian village of al-Araqib in the Negev for 97th time at the pretext of unlicensed construction. 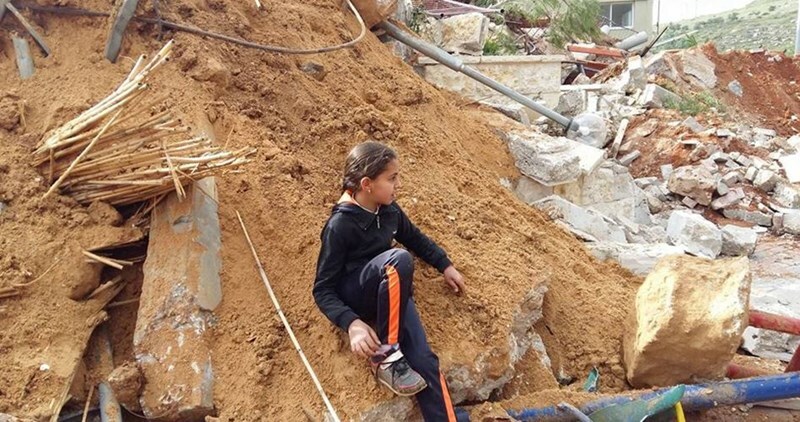 Chief of the village Aziz Attouri told Quds Press that several families were displaced in the village after bulldozers escorted by Israel security forces demolished their tents and homes. Attouri said that the Israeli occupation authority had demanded the Bedouin families to pay millions of shekels in expenses for current and previous demolition works in their village. He added that an Israeli court also imposed on the residents a penalty of 50,000 shekels on each day they spend on the land of their village. The Bedouin village, which is unrecognized by Israel, face an ongoing demolition campaign that started on the morning of June 27, 2010. Since then, demolition of its homes has been recurring each time the residents set up new tents and makeshift homes. 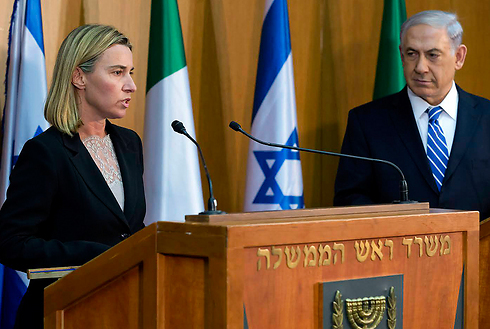 The European Union's foreign policy chief Federica Mogherini reiterated on Tuesday that the EU does not recognize Israel's claim to the Golan Heights, echoing a similar statement from the US the day before. "The EU recognizes Israel within its pre-1967 boundaries, regardless of the (Israeli) government's claims on other areas, until a final settlement is reached," Mogherini said before a meeting in Brussels of international donors in support of the Palestinian economy. "This is a shared position reaffirmed by the European Union and its member states," she added. Israel captured 1,200 sq. km. of the Golan Heights during the 1967 Six-Day War. Its annexation of the territory in 1981 has never been recognized by the international community, and some 510 sq. km. rest under Syrian control. In a special government meeting on Sunday Prime Minister Benjamin Netanyahu announced that the Golan "will forever remain in Israel's hands," and urged the international community "to recognize finally that the Golan will remain permanently under Israeli sovereignty." His declaration was condemned by the Arab League and Syria. "The occupied Golan is Arab land according UN Security Council resolutions," said Syrian Deputy Foreign Minister Faisal Miqdad. "We are prepared (to do) everything to restore the Golan employing all necessary means including military means," he added. The Syrian Foreign Ministry also sent two letters to the UN Secretary General condemning the Israeli cabinet meeting that was held in the Golan Heights for the first time. "Syria condemns in the strongest terms the holding of a provocative meeting of the occupation government in the occupied Syrian Golan," the letter said. "Syria emphasizes that the meeting is null and void. Syria calls on the UN and the UN Security Council to intervene immediately and to condemn the irresponsible meeting, and demand that the meeting that took place on Syrian soil not happen again." On Monday, the US signalled its opposition to Netanyahu's statement as well. "Every administration on both sides of the aisle since 1967 has maintained that those territories are not part of Israel," US State Department Spokesman John Kirby told reporters. Kirby went on to say that the conditions under which the Golan Heights should be returned must be decided through negotiations between the respective parties. "And obviously, the current situation in Syria makes it difficult to continue those efforts at this time," Kirby said. The United States signalled its opposition to Prime Minister Benjamin Netanyahu's recent declaration that the Golan Heights will forever remain a part of Israel, stressing on Monday that Washington did not consider the Golan a part of Israel. "Every administration on both sides of the aisle since 1967 has maintained that those territories are not part of Israel," US State Department Spokesman John Kirby told reporters. Meanwhile, US Vice President Joe Biden acknowledged "overwhelming frustration" with the Israeli government and said the systemic expansion of Jewish settlements was moving Israel toward a dangerous "one-state reality" and in the wrong direction. Addressing J Street's annual gala, Biden said despite disagreements with Israel over settlements or the Iran nuclear deal, the United States had an obligation to push Israel toward a two-state solution to end the conflict between Israelis and Palestinians. "We have an overwhelming obligation, notwithstanding our sometimes overwhelming frustration with the Israeli government, to push them as hard as we can toward what they know in their gut is the only ultimate solution, a two-state solution, while at the same time be an absolute guarantor of their security," Biden said. Biden said his recent meetings with Netanyahu and Palestinian President Mahmoud Abbas left him discouraged over the prospects for peace at present. "There is at the moment no political will that I observed among Israelis or Palestinians to move forward with serious negotiations," Biden said, "The trust that is necessary to take risks for peace is fractured on both sides." He said both Palestinians and Israelis needed to tamp down rhetoric that fueled violence and actions that undermined confidence in negotiations. Efforts by the Palestinian Authority to join the international criminal court were "only damaging moves that take us further from the path to peace," he said. For Israel's part, Biden said the "steady, systematic expansion" of Jewish settlements on disputed land wanted by the Palestinians moved "Israel in the wrong direction." 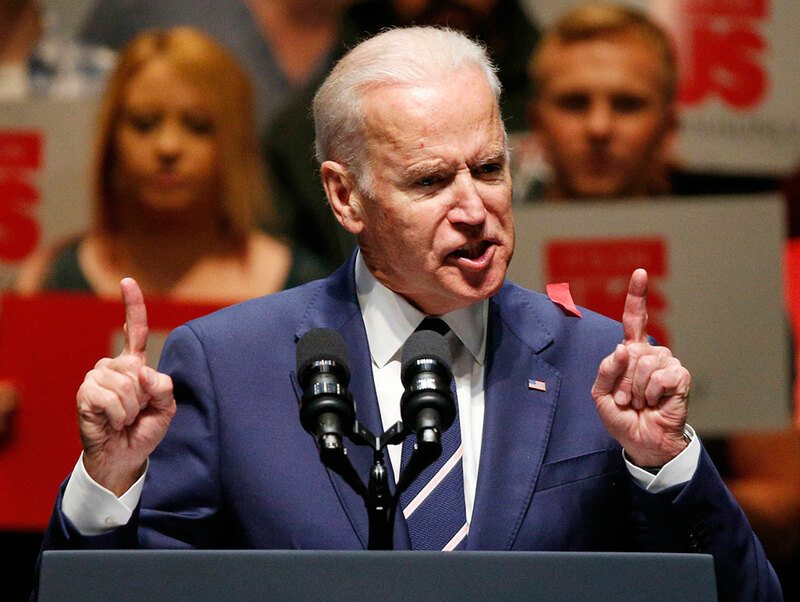 "They are moving toward a one-state reality and that reality is dangerous," Biden said, warning that moving in that direction would mean an endless cycle of conflict and retribution. Biden condemned the bombing of a bus and attack on another in Jerusalem on Monday by "misguided cowards" and offered prayers to the injured and their families. An Israeli court issued Monday demolition orders against 11 Palestinian-owned homes and a mosque east of occupied Jerusalem. Local activist Atallah Mazara’a affirmed that 11 homes belonging to the two families Mazara’a and Jahalin and a local mosque in Jabal al-Baba area are threatened with demolition. Mazara’a described the court’s demolition order as an illegal precedent that would displace 50 citizens including children. He pointed out that the Israeli civil administration crews handed over 12 orders to stop reconstruction of local facilities since last February. Such demolition orders came in favor of Israeli settlement expansion in the area, according to Mazara’a. Mazara’a called on local and international human rights institutions to support the steadfastness of the Bedouin community who face systematic forced displacement from their lands as part of the Israeli E1 settlement project. Settlement construction in E1 would effectively divide the West Bank into two parts and make the creation of a contiguous Palestinian state almost impossible. Israeli E1 settlement project has attracted widespread international condemnation. Experts continue to raise alarm bells as Islamic and archaeological sites have been acutely damaged by the unabated Israeli settlement activity across Salfit. 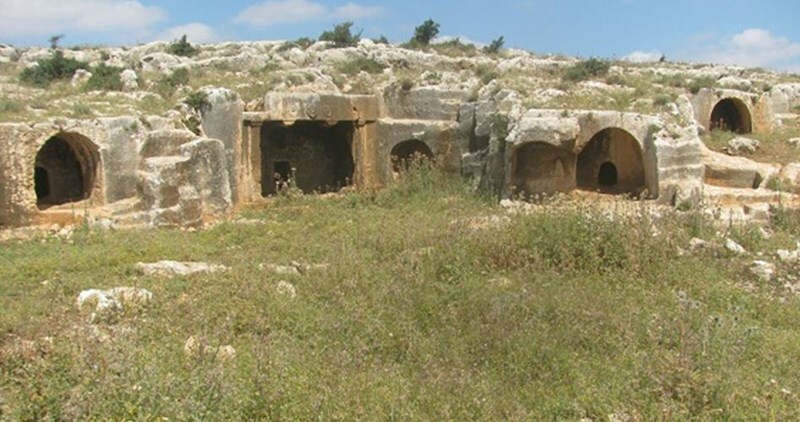 Researcher Khaled Maali said three major architectural sites have been badly damaged by illegal settlement construction in northern and western Salfit. One of the affected areas is located between the Israeli Apartheid Wall and the Ariel illegal settlement, in northern Salfit. The Ariel settlement bloc has been built and expanded at the expense of Palestinian natural resources and water wells. Stealthily creeping northwards, the settlement has devoured more Palestinian lands all the way through. Maali added that the Israeli occupation authorities carried out excavations in the area of Khirbet al-Shajarah a few years ago and stole antiquities. The area contains a large number of ancient wells, walls, and huge rock engravings, he added. The two archaeological sites Mughr al-Shams and Kerkesh build and carved in stones have also been contaminated by the occupation jackhammers. The panoramic views and fascinating landscapes previously drawn by its vast pools similar to Solomon’s Pools in the Bethlehem area, ancient caves, caverns, and amphitheaters have all turned invisible amidst the inherently fatal settlement germ. The location is under serious threat as the Israeli industrial zone Barkan near Ariel settlement has been expanding to the site. According to Maali, Israeli bulldozers destroyed caves and rock engravings which archaeologists believe they were used for pressing grapes. As for Deir Samaan site, Maali highlighted that Israeli authorities seized it in 1973, and since then settlers have been organizing trips to the area in an attempt to teach generations that it is an ancient Israeli village. The researcher further warned of the perilous upshots of Israeli settlement activity on the ties between neighboring Palestinian towns and villages, most of whose community bonds and geo-social links have been torn from limb to limb in the process. Several Palestinians were arrested by the Israeli occupation forces (IOF) at dawn Monday in an abrupt sweep launched across the West Bank and Jerusalem. 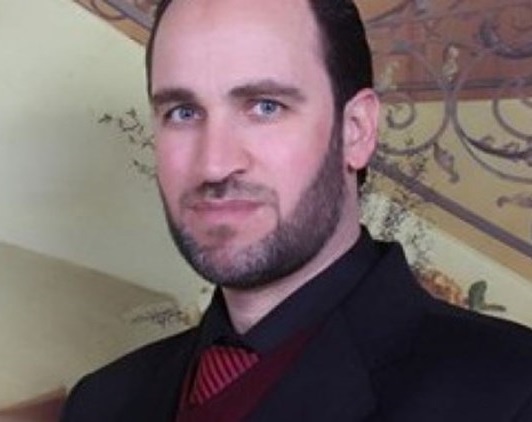 Sources based in al-Khalil said the IOF rolled into the city and wreaked havoc on the family home of the anti-occupation activist and Hamas leader Sheikh Mazen al-Natsheh, 42, before they handcuffed him and dragged him to an unidentified destination. “The occupation troops locked us up into one room and rummaged into the house before they seized our laptops and mobile phones. They kidnapped my husband shortly afterwards,” she added. Sheikh al-Natsheh had reportedly been incarcerated for over 12 years in Israeli occupation jails, mostly in administrative detention. The sweep culminated in the abduction of 40-year-old Ezzat al-Natsheh from the city, along with the two citizens Muhammad Hamamreh, from Bethlehem, and Majdi al-Barghouthi, from Ramallah. A Palestinian official report charged the Israeli Prime Minister Benjamin Netanyahu and the war minister Moshe Ya'alon of endorsing a decision to construct hundreds of new settlement units in the West Bank. 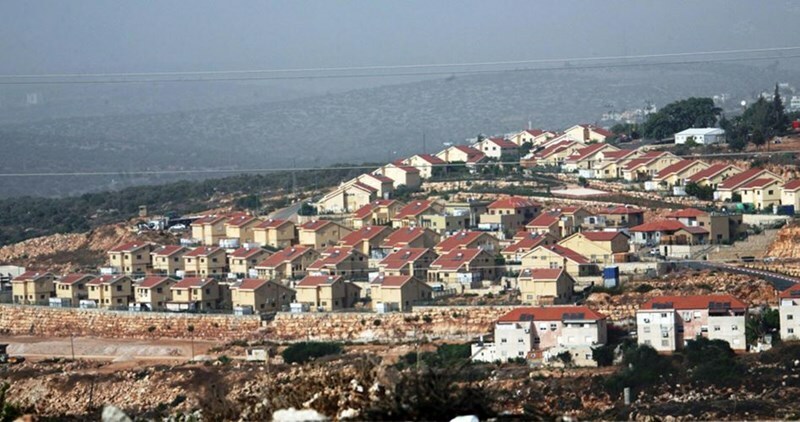 The national office for the defense of land and resistance of settlement said in its weekly report on Saturday that the new settlement construction plans included 299 housing units to be built in the northern West Bank and Occupied Jerusalem. The plans also included expanding settlements and evacuating 96 mobile homes. The report pointed out that the construction of 903 settlement units have been endorsed since the beginning of the year until the end of March. Israeli occupation authorities, meanwhile, informed the Palestinian civil liaison about the decision of confiscating 2400 dunums of Salfit lands at the pretext of being classified as state property. The report pointed to another Israeli decision preventing Palestinians from constructing housing projects in some neighborhoods in Occupied Jerusalem while, at the same time, endorsed Israeli settlement housing projects in the same areas. Israeli Prime Minister Benjamin Netanyahu declared that the Golan Heights would “forever remain in Israel's hands,” during a controversial cabinet meeting held in the annexed territory on Sunday. Israel seized 1,200 square kilometers (460 square miles) of the Golan Heights from Syria in 1967 and later annexed it, in a move never recognized by the international community. 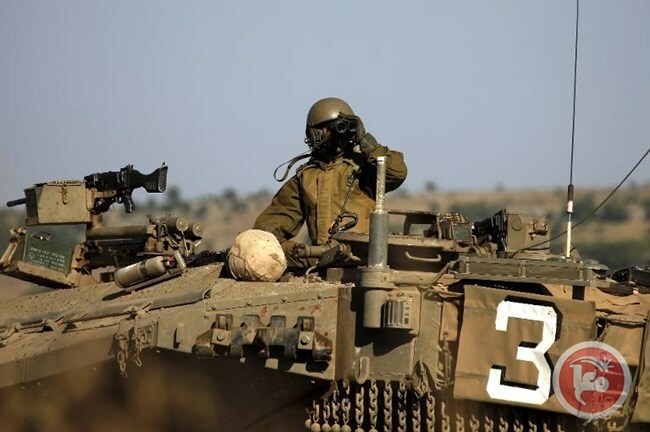 Israel’s Channel 2 reported on Friday that Israeli officials had decided to hold a meeting in the area as a gesture of defiance, as world leaders work on drafting an agreement to end the five-year civil war in Syria which calls on Israel to hand back the annexed Golan to Syria. “I chose to hold this festive Cabinet meeting on the Golan Heights in order to deliver a clear message: The Golan Heights will forever remain in Israel's hands. Israel will never come down from the Golan Heights,” Netanyahu said. “The time has come for the international community to recognize reality, especially two basic facts. One, whatever is beyond the border, the boundary itself will not change. Two, after 50 years, the time has come for the international community to finally recognize that the Golan Heights will remain under Israel's sovereignty permanently," he added. The Syrian government condemned “in the strongest of terms” on Sunday the Israeli cabinet’s decision to hold its “provocative” meeting in the Golan Heights, Syrian national news agency SANA reported. Al-Marsad, the Arab Center for Human Rights in the Occupied Syrian Golan, estimates that around 130,000 Syrians were displaced by Israel from the Golan during the 1967 takeover, a population that has now grown to around 430,000, many of whom live in areas hit by recent violence in Syria. The Israeli military tightened the northern border of the occupied Golan last summer, reportedly in effort to prevent access to Syria by Druze living in the occupied Golan who said they would cross the border in order to protect their brethren in the ongoing Syrian civil war. Dozens of Israeli soldiers and police officers invaded, on Friday and Saturday, several neighborhoods in Silwan town, in occupied Jerusalem, and handed demolition orders against many Palestinian homes. The Wadi Hilweh Information Center in Silwan (Silwanic) in Jerusalem said the soldiers invaded the home of Yassin Rajabi, and handed him a demolition order targeting the home he built twenty years ago, and is living in it with his eight family members. The property consists of four bedrooms, a living room, toilet and shower rooms, Silwanic added. The soldiers also ordered Rajabi to remove a poster of his son, who was recently released from an Israeli detention facility, and threatened to kidnap him again. Silwanic also said that the soldiers handed a similar order to Mohammad Talal Haleesy; the property is 110 square/meters, and is composed of three rooms, bathrooms and toilet rooms, and was built in November of 2014. 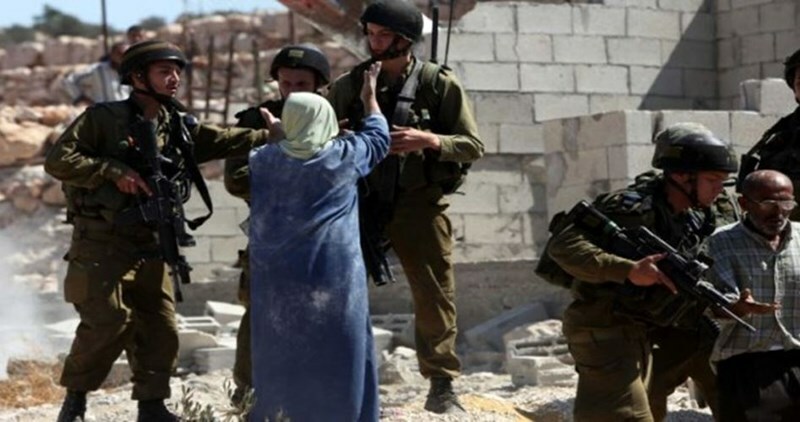 On Friday, the soldiers handed demolition notices against eighteen Palestinians homes, built many years ago, in the al-Bustan neighborhood in Silwan, Fakhri Abu Diab of the Jerusalem Land Defense Committee said. Abu Diab added that the threatened homes are owned by the Jerusalem families of Gheith, Qara’in, Abu Rajab, Odah, Abu Diab, Hammad and ‘Awwad. The families have been paying high fines to the Jerusalem City Council in an attempt to prevent the demolition of their homes, including legal costs and permit applications. While Israel largely denies Palestinian families construction permits in the occupied city, it is ongoing with its plans, and actual construction and expansion of illegal colonies, built on Palestinian lands, in and around occupied Jerusalem. Expanding Palestinian families in Jerusalem face constant obstacles, and high costs, just to apply for construction permits, and are also largely unable to add rooms to their existing homes and properties. Israeli forces on Saturday raided Silwan and delivered demolition orders to two Palestinian-owned buildings amid a surge of demolitions in the occupied East Jerusalem area, locals said. Member of a Silwan-based committee formed to fight such demolitions, Fakhri Abu Diab, told Ma’an that inspectors from the Jerusalem municipality accompanied by armed forces delivered the orders to owners who have already forged long legal battles in Israeli courts in efforts to protect their properties. Of those slated for demolition included the home of Yasin al-Rajabi, said Majdi al-Abbasi of the Wadi Hilweh Information Center. Al-Rajibi’s home was built 20 years ago and houses eight family members, who now face imminent displacement. Israeli forces also delivered a demolition order on the home of Muhammad Talal al-Hleisi in Beer Ayyub area. Both properties were reportedly built without Israeli-issued construction licenses. The Silwan area has come under heightened presence of Israeli military forces over the past month, in what Abu Diab said is seen by residents as an attempt to “create tension and insecurity” among Silwan locals. Abu Diab estimated at least 18 Palestinian families are currently at risk of displacement due to recent demolition orders. 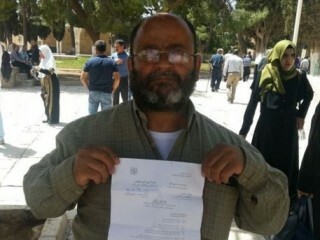 Abu Diab slammed the Israeli authorities for intentionally delivering demolition orders on Fridays and Saturdays -- typical days of rest for many Palestinian residents -- preventing access by locals to the neighboring Al-Aqsa Mosque for midday prayers. The Wadi Hilweh center said Silwan resident Abdelkarim Shyoukhi meanwhile received a demolition order for his car wash on Friday, delivered by Israeli forces who took photos of all people and vehicles present at the time of the raid. The center added that the livelihoods of three Palestinian families rely on the commercial establishment. Silwan residents -- like most Palestinians in Jerusalem -- have long engaged in efforts to prevent their displacement by the Israeli government, which has aimed to establish a Jewish majority since Israel illegally occupied East Jerusalem in 1967. Palestinians' ability to build homes or expand existing structures legally is severely limited by the Jerusalem municipality, and more than 3,000 Palestinian structures have been demolished since 1967, according the PLO Negotiations Affairs Department. The Wadi Hilweh Information Center in February said the Israeli authorities were escalating demolitions Silwan in particular, and the Israeli National Council for Planning and Building recently approved a massive building project planned by Israeli settlement organization Elad in Silwan. PLO Executive Committee member Hanan Ashrawi said the approval was a clear sign that Israel was "deliberately isolating Jerusalem from its Palestinian environs and indigenous people and transforming it into an exclusively Jewish city." The Israeli occupation authority (IOA) on Saturday morning notified a Palestinian citizen of its intention to demolish his home in Silwan district, south of the Aqsa Mosque, at the pretext of unlicensed construction. The house is located in al-Bustan neighborhood in Silwan and belongs to Yasin al-Rajbi. The wife of Rajbi said that the IOA had already issued several demolition orders against her house, stressing that the family would stay steadfast in the house and would resist its demolition. An Israeli municipal crew on Friday delivered demolition notices against a house and a car wash in the same district. Israel carries out systematic demolition campaigns in Palestinian neighborhoods in east Jerusalem with the aim of forcing the native residents to leave the city and bringing Jews to live in their homes and areas.